The Omnikin Kin-Ball sports ball is the official ball for the quick and exciting trend sport. This game ensures diversity in schools and clubs. Kin-Ball is an action-packed team game that's all about fun, speed and, above all, team spirit. 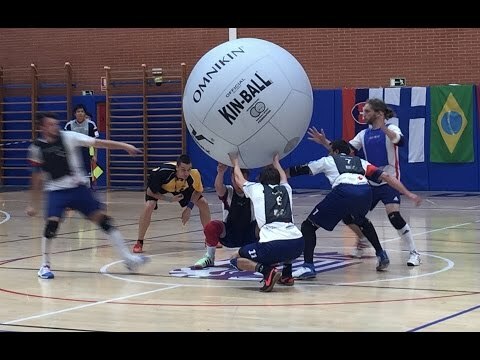 In this game, three teams play against one another simultaneously with a giant ball. The ball has a diameter of 1.22 m and weighs approx. 1 kg. It has a latex bladder and a soft nylon cover. Kin-Ball is the only sport in the world in which three teams play simultaneously. The game is played on a court of approx. 21x21 metres using a giant soft ball. Each team is made up of four players, who are identified with different bibs or armbands. One team is in possession of the ball at the start of each period of play and serves. In order to serve, three players of a team kneel under the ball and hold it up. The fourth player determines which team has to catch the ball before serving it. When doing this, the player shouts “Omnikin” and the colour of the selected opposing team. The aim of this team sport is to throw the Kin-Ball in such a way that the team called out cannot catch the ball before it touches the ground. 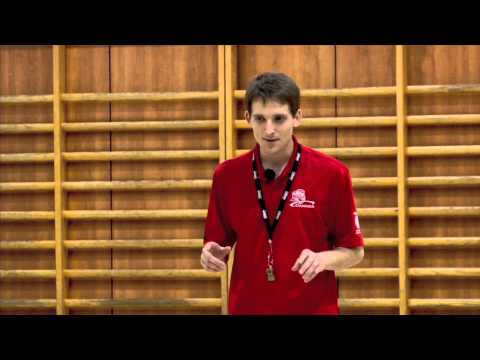 However, if the opposing team is able to catch and control the ball, then they get to serve. The right ball for this exciting team game – the original Omnikin Kin-Ball sports ball.